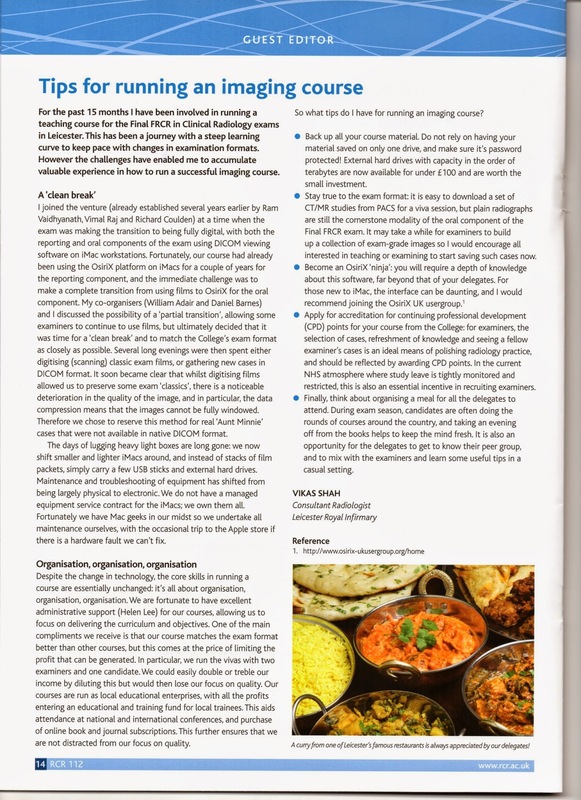 This is an article I was invited to write about my experiences of running an imaging course for the Royal College of Radiologists newsletter. I describe how the team (myself, Drs Adair and Barnes, and Ms Helen Lee), transformed the old course into a new all-digital course. This experience helped me to start a brand new on call radiology course which was held last month. I hope the picture also helps to convince people that Leicester really is the best place in the UK for Indian food!